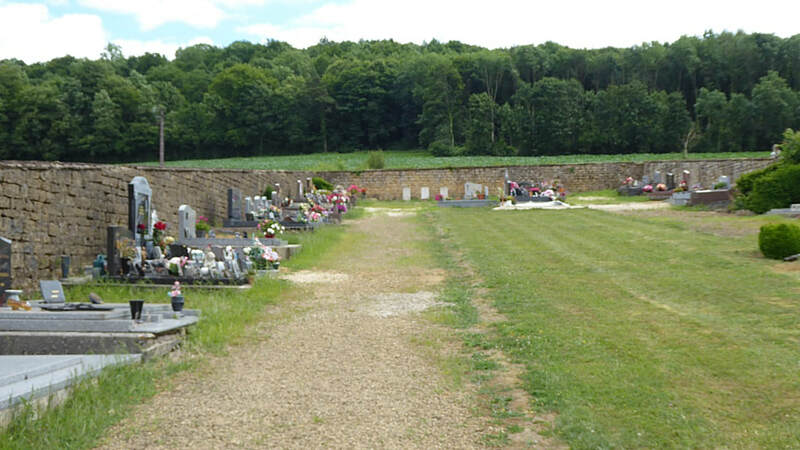 Chéhéry is a village 18 kilometres south-east of Mezieres and about 9 kilometres south-west of Sedan on the main road D977 from Sedan to Le Chesne. 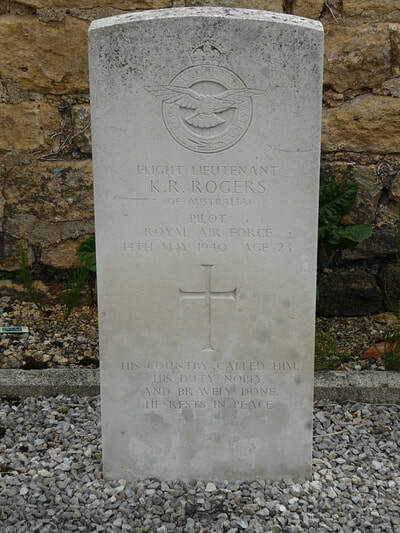 The communal cemetery is north-east of the village, and contains the graves of three airmen of the Royal Air Force. 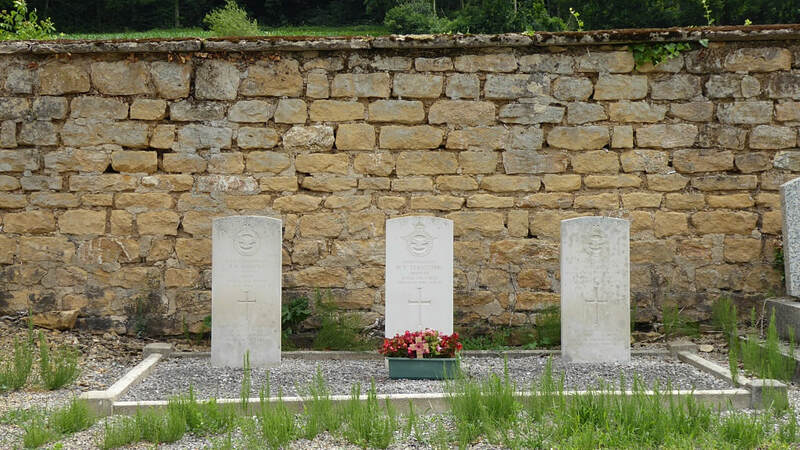 These graves are near the east wall of the cemetery. 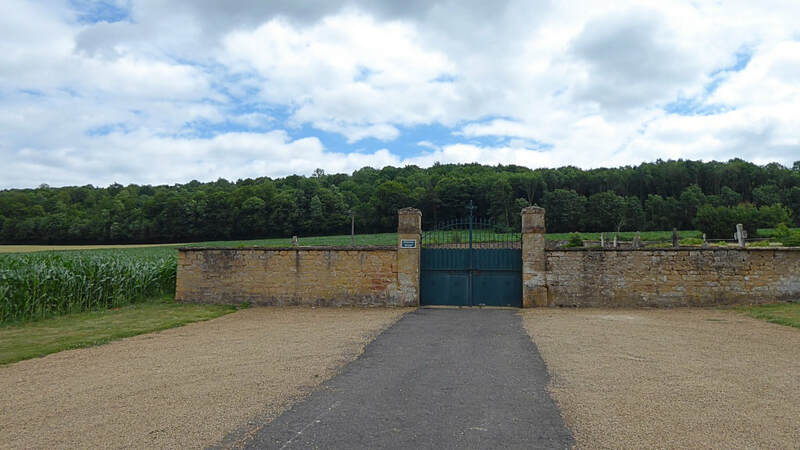 Chehery is a village and commune 11.25 miles (18 kilometres) south-east of Mezieres and about 5.5 miles (9 kilometres) south-west of Sedan, on the main road (N.77) from Sedan to Le Chesne. 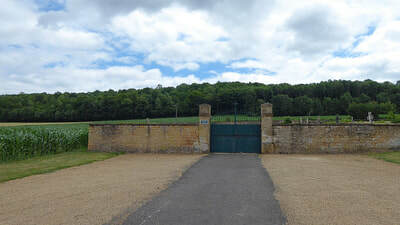 There is a bus service along this main road, but it is very poor and the most practical way to reach Chehery is by taxi from Sedan which is on the main Paris to Luxembourg railway line. The cemetery is north-east of the village on the N.77 road, and contains the graves of three airmen of the Royal Air Force. 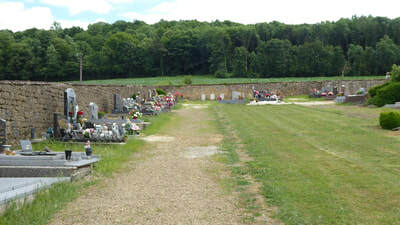 These graves are near the east wall of the cemetery. 39473 Flight Lieutenant Kenneth Russell Rogers, Pilot in 142 Squadron, Royal Air Force, died 14th May 1940, aged 23. Son of George Albert and Bertha Rose Rogers, of Goulburn, New South Wales, Australia. 539637 Corporal Henry Todd, Wireless Operator in 142 Squadron, Royal Air Force, died 14th May 1940, aged 21. 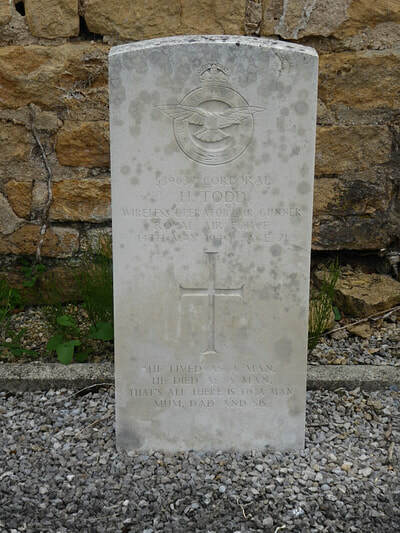 Son of Henry and May Todd, of Lakenham, Norwich. 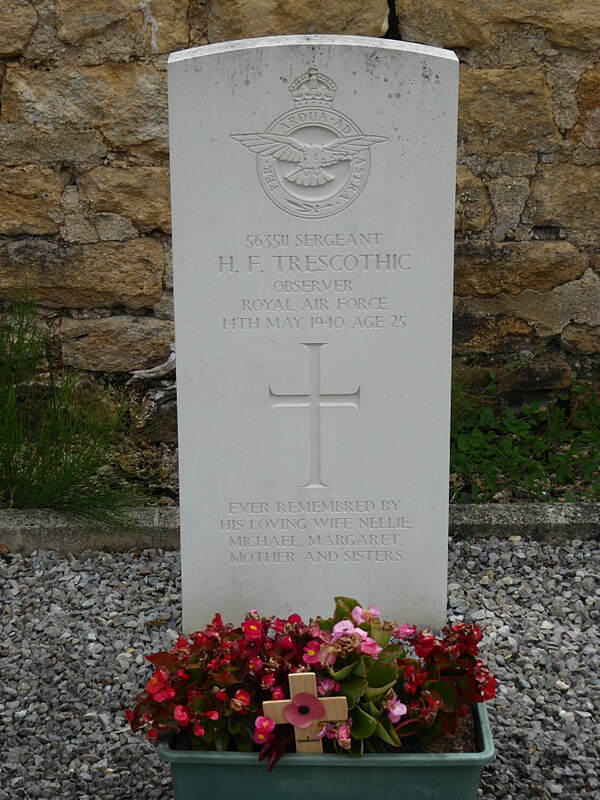 563511 Sergeant Herbert Frank Trescothic, Observer in 142 Squadron, Royal Air Force, died 14th May 1940, aged 25. Son of Francis George Trescothic and of Ethel Maud Trescothic (nee Lowe); husband of Nellie Margaret Trescothic, of Southsea, Hampshire.